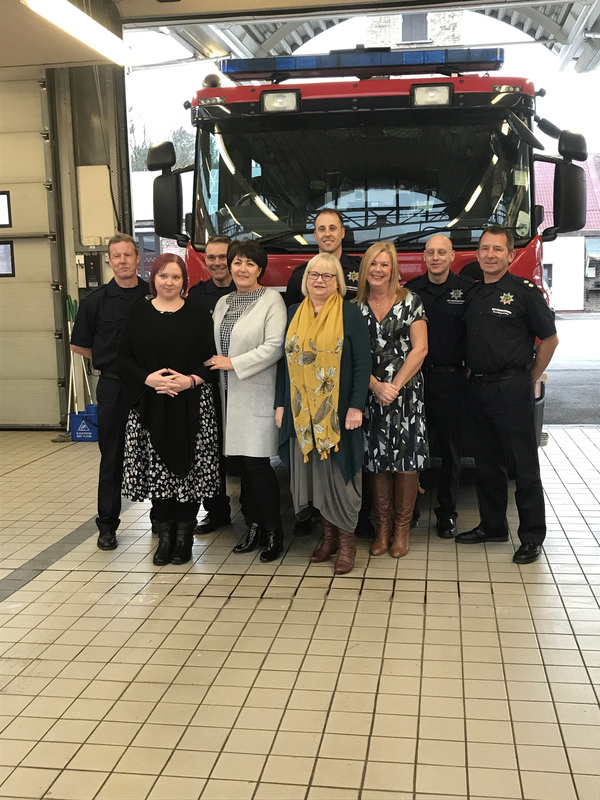 Its pretty common knowledge that the amazing crew members of Mansfield fire station have announced they are creating a calendar, proceeds going to the Amazon Breast Support group, based at Kings Mill Hospital. 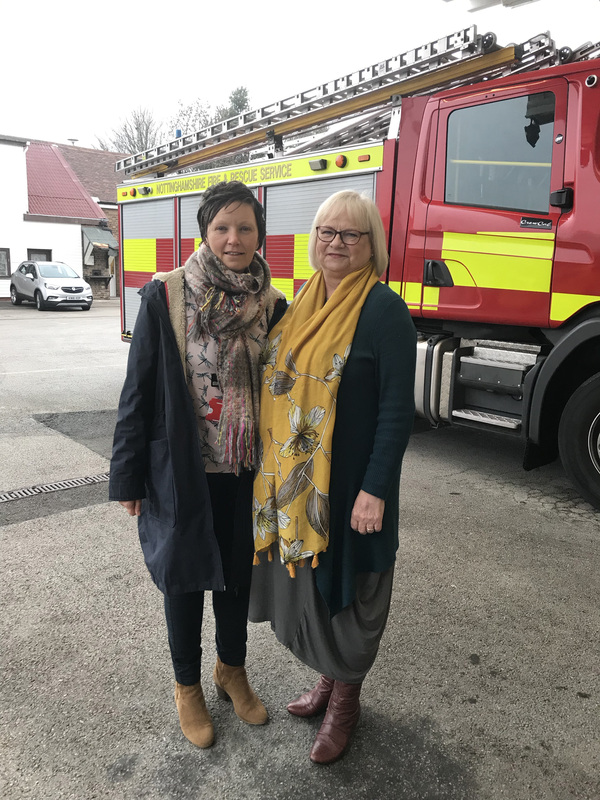 The Amazon Breast Cancer Support Group was initially founded by twelve Kings Mill Breast Cancer patients, who felt help was needed for patients that went beyond the pure medical care given by the hospital. From being a new patient all the way through to discharge from the hospital, everyone has a place in the Amazon Group. 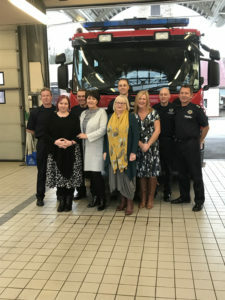 Yesterday, Tuesday the 4th of December 2018 was a pretty emotional day for me, the 4 amazing ladies from Kings Mill Hospital Breast Clinic, arrived at Mansfield Fire Station to have photographs taken for the calendar, these nurses are truly heroines in their own right, I think anyone who has been diagnosed with breast cancer or knows someone who has, understands that when you get allocated a nurse as your point of contact, you forge a relationship, you place 100% of your trust in them, you invest your emotions, they become family, i strongly believe without them the whole process of breast cancer would be 10 times harder, you lose everything that defines you as a woman, its brutal, and at times you cannot imagine ever being the person you were before, interpreting/understanding surgeons and consultants for a start would definitely seem nigh on impossible. So, to see these women out of their work environment, get excited (Lisa Rahn) about the fire engine, interact with my work colleagues, talk over a cup of coffee with Green Watch about coping with trauma, talk cancer, reality, and all with laughter, humour and understanding was truly a very special afternoon, because these ladies whilst always making time for us patients, are normally extremely busy in clinic, answering our stressed out voice mail messages we leave them, and generally having to behave in the workplace as the professionals they are. To get an insight into life behind the scenes, and spend a little piece of time with them as individuals, really was a privilege. The crew got back from an exercise on time, the pips didn’t go off to send them away on an emergency call out, everything went so well, and that so rarely happens, i’m not sure if it was the drugs i am on, the hormone injection a few days before, or the general effort of keeping the game face in place to all that view me, or the overwhelming feeling that for once everything fell into place, and acknowledging the attachment to these ladies who to a degree are strangers in once sense, but my everything in another. Trying to relay how important this photograph was to me and why to my friend and colleague Tracey before they arrived reduced me to tears, great blubbering sobs that i had felt coming on all day, but had not found a safe place to let them out, and thats the thing with this secondary cancer, I’m learning you can run but you cant hide from it, Yvonne one of the nurses told me, ‘Louise, if you didn’t have these moments I’d be very worried, you have to let it out, and most of all You are Human’ Funny how you need a third party to let you acknowledge that you cant be this robot of self control all the time, and thats without an illness. So thanks to Monty (White Watch) who instigated and made this whole Calendar idea happen, to Mr Linney from Linney the Printing company in Mansfield, who has kindly printed off 500 calendars for free, with all proceeds going to the Amazon’s. I had a truly amazing Tuesday afternoon with 4 ladies, whom I admire, respect and really would not be in the head space i am today without them, I may have an incurable disease called cancer, but days like these remind me I am lucky to have a life to live right now, and to enjoy every little minute of those special, sometimes unexpected moments.